Home » Credit Card Reviews » How does the Bank of America Premium Rewards card work? How does the Bank of America Premium Rewards card work? The Bank of America® Premium Rewards® credit card has a $95 annual fee that’s not waived, and while it’s often talked about as a travel card, it’s really a cash rewards card for people with excellent credit that earns extra rewards in categories travelers like. What are the card features? What are the rewards worth? Is there a sign-up bonus? How does Preferred Rewards work? How do you use the rewards? Can you earn cash back? Can you transfer BofA rewards to airline miles? Can you combine points with other BofA cards? What other benefits does the card offer? How does this compare to other credit cards? Is this a chip + PIN card? 2 points for every $1 spent on travel and dining purchases, 1.5 points per $1 spent on all other purchases. Rewards are worth 1 cent each when you redeem for travel, statement credit, or cash back. So 10,000 points is worth $100. There are no special travel sites or airlines required – you can use your points for statement credit on anything you’d like. The introductory sign-up bonus lets you 50,000 bonus points – a $500 value – after you make at least $3,000 in purchases in the first 90 days of account opening.. Using your rewards is incredibly simple. You don’t have to worry about finding award availability, in fact, you don’t even need to worry about what you are able to redeem your points for. Points are worth the same one cent each regardless of how they are redeemed. This includes cash back, travel purchases, and gift cards. Yes, you can redeem your points as cash back at a rate of one cent each. You have the option to redeem your cash back as a statement credit or deposit your cash back into an eligible Bank of America® checking or savings accounts, 529 college savings account, or Merrill Lynch/Merrill Edge investment account. It is not possible to transfer Bank of America rewards to airline miles. You can, however, book a flight either on your own and redeem your points as a statement credit, or you can book a flight directly with your points through the Bank of America travel portal. It is not yet known if it will be possible to transfer points between the Bank of America® Premium Rewards® credit card and other Bank of America cards. 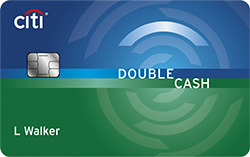 Bank of America does allow transfers between some types of cards, but not all. Your points don’t expire as long as your card account is kept open. In addition to the cash back for everyday spending, the Bank of America® Premium Rewards® credit card offers a couple of other benefits that are well worth noting. $100 Airline Incidental Credit: Like many other credit cards, the Bank of America® Premium Rewards® credit card is offering an airline incidental credit. This credit is valid for the cost of seat selection, checked bag fees, in-flight services, and lounge access. It will not directly reimburse airfare costs, however. Global Entry/TSA PreCheck Credit: Every four years you can get your Global Entry or TSA PreCheck application fee reimbursed. Trip Insurance: The Bank of America® Premium Rewards® credit card provides up to $5,000 per person, per trip in insurance for non-refundable expenses if you have to cancel your trip for a covered reason. If your flight is delayed by 12 hours or more, you are eligible for $500 per person to cover expenses resulting from your delay. Lost/Delayed Baggage Insurance: If your baggage is delayed, you are eligible for up to $100 per day for up to 5 days to cover the costs associated with your delayed bag. If your bag is lost or stolen by a travel provider, you are eligible for reimbursement for the contents of your bag. Purchase Protection: When you make a purchase with your card, you are covered in regard to lost and damaged items, up to $10,000. This benefit covers the first 90 days after purchase. Rental Car Insurance: When you rent a car with your Bank of America® Premium Rewards® credit card, you will have secondary rental insurance — meaning that you will first need to make a claim to your personal insurance before submitting a claim through your card. The Bank of America® Premium Rewards® credit card is an amazing card if you have big deposits with Bank of America® or Merrill Lynch® via Bank of America’s Preferred Rewards Program. Depending on your level in Preferred Rewards, you can earn up to 3.5 points per dollar spent on travel and dining purchases and 2.625 points per dollar spent on all other purchases. 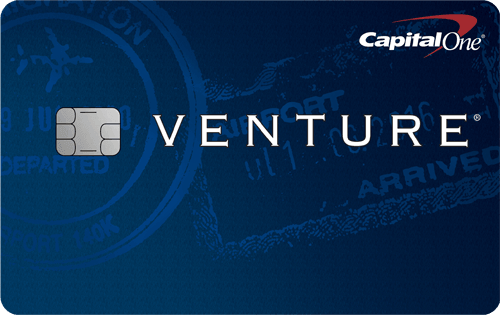 There isn’t another credit card that offers that level of rewards with an uncapped potential. Without participating in Preferred Rewards, the card isn’t as exciting. There’s a $100 airline incidental fee credit every year, but you have to remember to charge enough eligible fees on your card to get your money’s worth with that. And 1.5x points per dollar on most spending isn’t worth paying a $95 annual fee considering you can earn the same 1.5x points with the no annual fee Bank of America Travel Rewards card. All in all, the Bank of America card isn’t ground breaking unless you have a big Bank of America® or Merrill Lynch® balance, but how does it compare to other cards on the market? Let’s take a look at a few of the most popular. In terms of deciding which of the above cards is best for you, you should consider how much you can spend in order to meet the minimum spending requirement and where you generally spend money from day-to-day. One card may present you the ability to earn more points compared with another card. If you have big travel aspirations, and want to deal with the complexity of regular airline miles, a credit card with points you can transfer into real airline miles like the Chase Sapphire Preferred® Card will offer you many more options. However, if you primarily travel in economy and have little flexibility with your dates, then a card that lets you use your points like cash for travel like the Bank of America® Premium Rewards® credit card. The Bank of America® Premium Rewards® credit card be a Chip + Pin card if specifically requested.